A common theme of many of the winery tables this year was showcasing their brand-new summer weather wines, many of which I learned had been bottled just a few days prior! When the sun peaks out and the cherry blossoms start to awe us with their beauty, there is one type of wine that comes to mind: Rosé. The 2016 vintage is showing very well and wineries have been having fun creating Rosés from a variety of different grapes. It seems year after year we see additional wineries venturing into this type of wine, likely because, well, it’s delicious and it sells well! This year’s Taste Washington was no exception, with several stand-out Rosés leading the charge into summer. 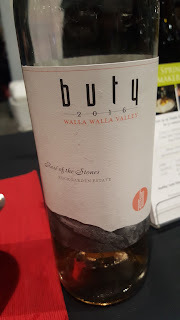 It also appears to be the year of Boushey Vineyard Grenache Blanc, as I tried several different wineries’ bottles of this at Taste Washington! This is a grape that until recently I only really saw as a percentage of white blends. The stand-alone bottles that have come out this year are outstanding. I look forward to seeing more wineries work with this grape. Syncline Winery consistently puts out some amazing wines, and this year was no different. I hurried to their table early in the afternoon to make sure to get some of their 2015 Scintillation Grüner Veltliner Brut. Sparkling Grüner?! What amazingness is this?! They also had the first of the many Boushey Vineyard Grenache Blancs that I tried throughout the afternoon, with their 2015 vintage of it. And to cap off the delights, they were serving their 2016 Rosé of 35% Cinsault, 35% Grenache, and 30% Mourvedre. 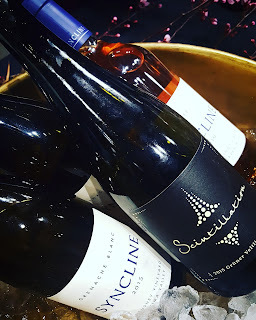 I have enjoyed every sip of every Syncline wine I have tried, they are creating some beauties. 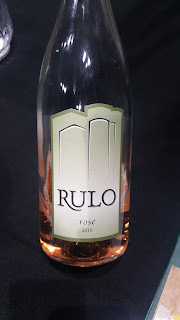 The Buty Winery 2016 Rosé of the Stones was another fun find. This Rosé of 68% Grenache and 32% Mourvèdre was lovely. 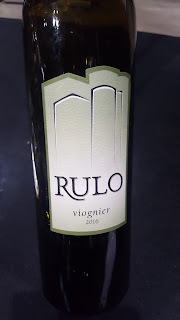 Rulo Winery was one of the wineries I put on my list that I hadn’t tried before. 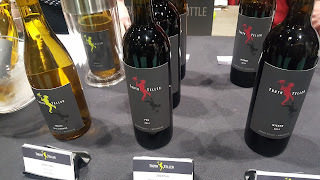 It was such a wonderful visit to the table, as I had the opportunity to chat at length with the winery owners Kurt and Vicki Schlicker while tasting through the wines. This Walla Walla winery was established in 2000 and is another that sources Grenache Blanc from Boushey. I really enjoyed tasting their 2016 Viognier and 2016 Rosé. 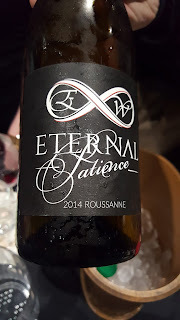 Eternal Wines was another new one I tried at the event. This winery, established in 2014 by owner and winemaker Brad Binko, is indeed new, since their first release was just last year! 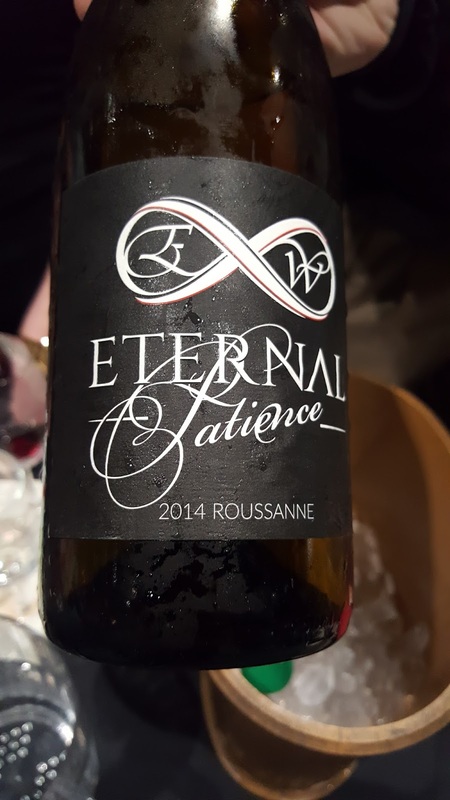 While I tasted through several amazing wines, my favorite was the Eternal Patience 2014 Roussane, a 100% Roussane from the Walla Walla Valley. It was also great to get to chat with the owner/winemaker Brad, I would expect to see more great things from him in the coming vintages! 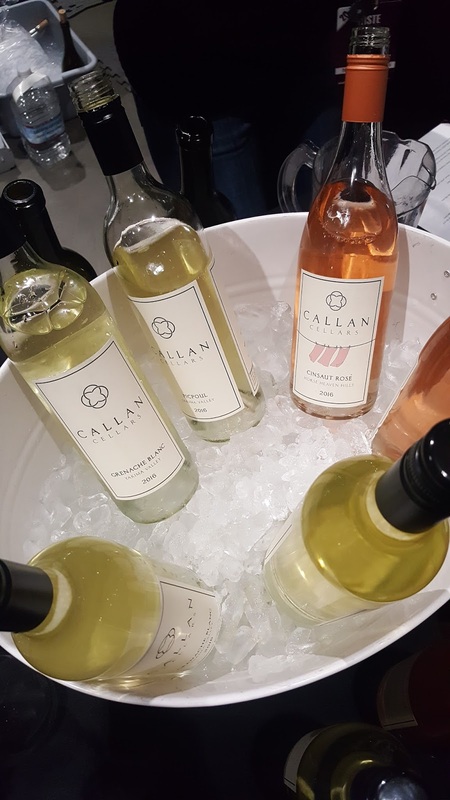 Callan Cellars was another new winery for me, and another that is also putting out some of their first wines. They were pouring several fun wines at the event, including another Grenache Blanc! 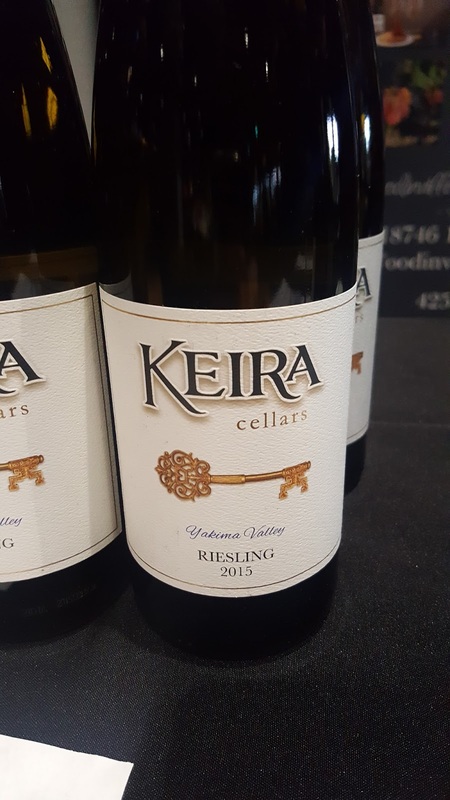 I had the winery on my list prior to the event, and was also pointed toward the Callan table by others at Taste Washington. Such great exposure for a new winery! Latta Wines has recently set up shop in the Sodo Urban Works area of Seattle, but was established in 2011. 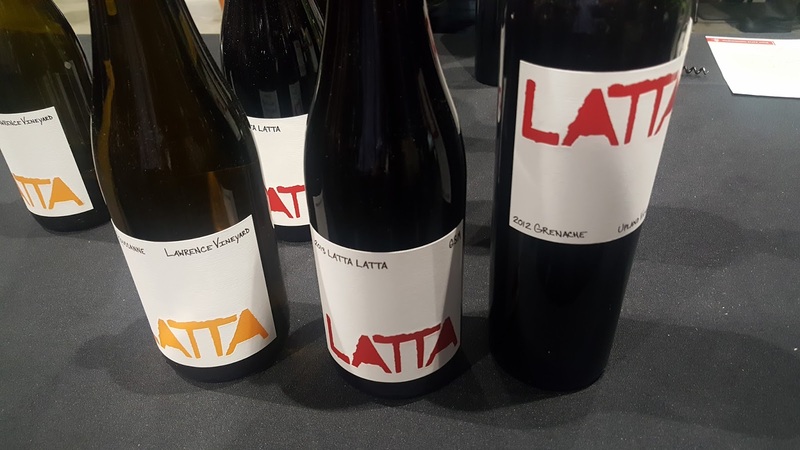 Winemaker and owner Andrew Latta is doing some great things with his own label. 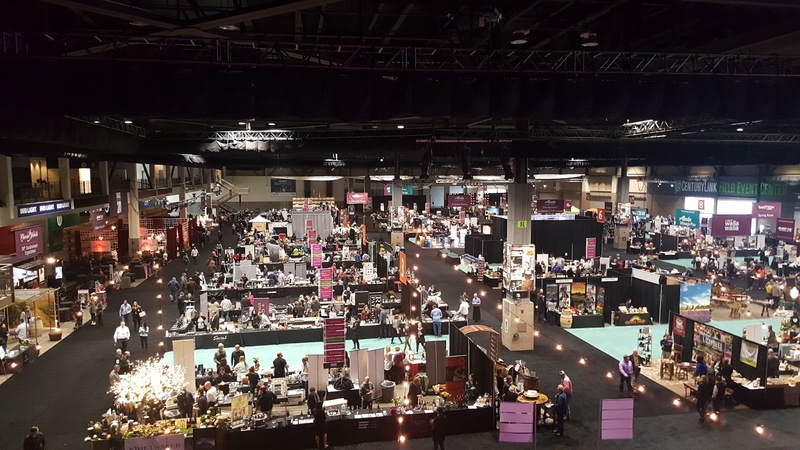 We had the opportunity to try his Malbec while tasting at a few places in Sodo Urban Works a few weeks ago, and I was excited to try other wines at Taste Washington. The 2012 Upland Vineyard Grenache and 2013 Lawrence Vineyard Roussane were awesome! 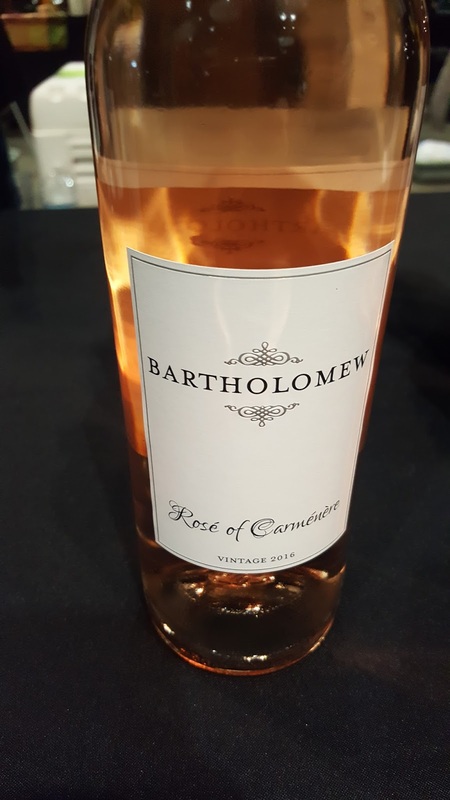 Bartholomew Winery’s 2016 Rosé of Carménère was poured for the first time at Taste Washington and I was excited to try it! 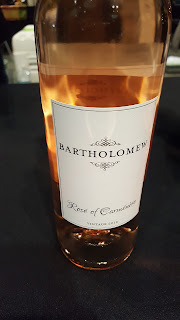 Bart has put out some amazing Rosés and this year is definitely my favorite so far. 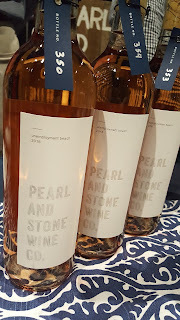 Pearl and Stone Wine Co was one that I found on my mission to try new wineries at last year’s Taste Washington. I visited them at Seattle Wine and Food Experience last month and stopped by at Taste Washington to try their new 2016 Unemployment Beach Rosé, a Rosé of Cabernet Franc. It was delightful! I look forward to visiting the tasting room soon! 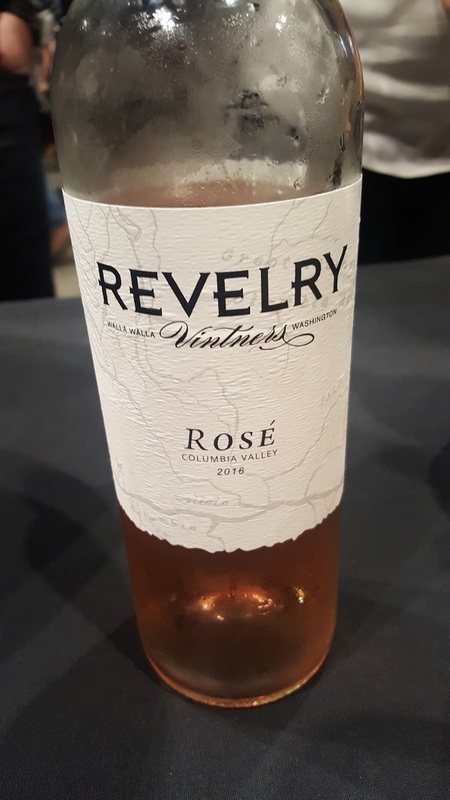 Revelry Vintners had another favorite Rosé with their 2016 Columbia Valley Rosé. I have enjoyed other wines from them in the past and definitely need to visit the tasting room on my next trip to Walla Walla. 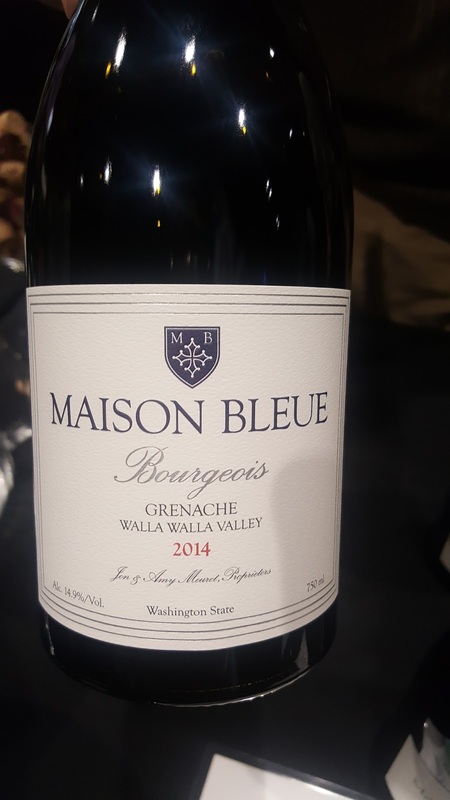 Maison Bleue was pouring their 2014 Walla Walla Valley Bourgeois (pronounced boo-zhwa) Grenache, a wine from In the Rocks AVA. This was a wonderful wine, and just one of the many high quality wines that Maison Bleue has produced. Keira Cellars and Truth TellerWinery were two other Woodinville wineries that I hadn’t tried before and were pouring some tasty wines. 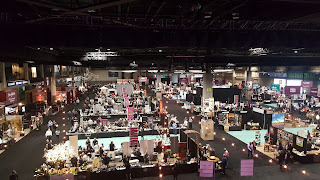 I had a great time at this year’s Taste Washington, and was pleased with my successes in trying so many new wineries. The great thing about the Washington wine industry is that it keeps growing, and that means I will have new places to try for years to come. In the mean time, I am ready to stock up on some of those Grenache Blancs and Rosés and start longing for warmth and sunny days (which seem to be elusive here in Western WA this year so far…). Here’s to another successful Taste Washington! Cheers!